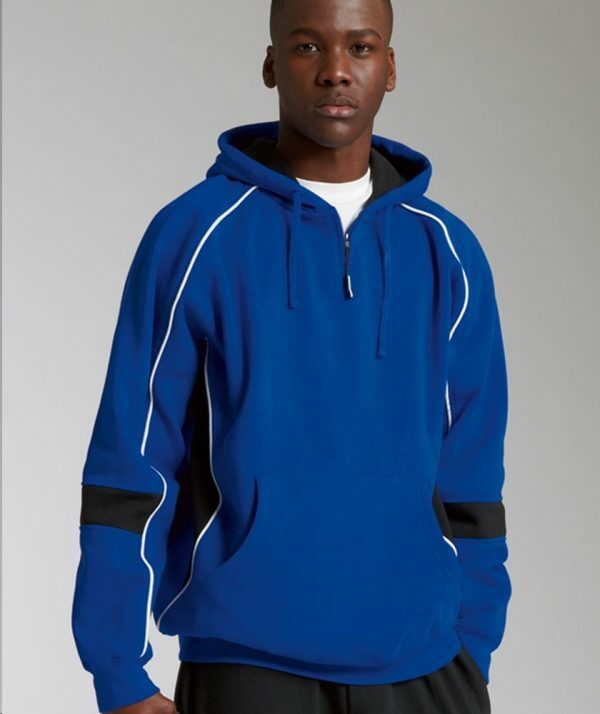 SKU: CR-9052 Categories: Men's Pullovers, Men's Clothing, Sweatshirts, Youth Clothing, Youth Outerwear, Orange Brands: Charles River Apparel. 60% cotton/40% polyester sweatshirt 8.26 oz/yd? (equiv to 13.76 oz/lyd, 280 gsm). Color blocked design and quarter zip styling. Front pouch with hidden cell phone pocket with hook & loop closure. Rib knit cuffs and hem. Coordinates with Spirit Sweatpants, style 9856.